May the committee of the Cellar Club Inc take this opportunity to thank you for your support during 2012 and wish you a merry Christmas and all the best for the festive season and 2013. Please note the start time for the Dinner. We have arranged it so that those who stay in town, or otherwise have things to do, do not have to hang around unnecessarily. Thanks for all your responses; it seems clear that we have sufficient numbers to have the venue to ourselves. What a great effort. What a great year in reflection. As ever started with a most enjoyable BBQ at Derek Thompson’s house. February saw the St Clair Family Estate, followed in March by Stonecroft from Hawkes Bay. April was a real treat with the iconic Australian winery Brown Brothers presenting. An interesting collection of really good, and some more basic, varieties that Brown Brothers enjoy experimenting with. After the AGM in May, June saw a Peter Yealands representative presenting. July was the mid-year dinner at Bistro 107 in Petone, a different sort of night but enjoyable none the less. August gave us the second iconic Australian winery with Luke Skeers from Wynn’s Coonawarra, a top class tasting with some excellent wines. Our old friend Richard Gooch presented some South African wines in September, interesting to say the least, followed in October by Bannock Brae from Central Otago. November has lived up to all its expectations with John (Mac) Macpherson from Advintage in Havelock North excelling himself. What a night, with Luke Skeer, a senior wine makers from Wynns, presenting a range of prestigious wines from their Coonawarra Estate. There were reserve wines, some new elite releases and new labels not previously seen in NZ, along with the more well known Michael Shiraz and John Riddoch Cabernet. Admittedly the evening was heavy on reds which may not have been to everyone’s taste although the red lovers thoroughly enjoyed it. The committee were a little disappointed with the turn out with only 29 attending but appreciate that an evening of reds may not have suited all members. A truly special evening from an iconic Australian producer. We would especially like to thank James Cupit and the Cellar Room, Johnsonville for organising the evening. We remind members that the Cellar Room offers discounts to Club members and would ask that you be generous in your support. This month, 2006 Wynns Cabernet Shiraz Merlot, was won by James Cupit. Thank you James for organising Wynns, winemaker Luke and Dan. What a great range of wines on the night. The annual subscription of $25 is now due. If you are one of the 41 people that has already paid your subscription, we thank you for your promptness. We will have your membership card at the August tasting to give to you unless you ask for it to be mailed out in the meantime. These cards will be also available to life members at this tasting. If you are entitled to a card and do not attend the tasting, we will post it to you instead. Some comments on the July dinner are included in “Glancing Back”. Bistro 107 has indicated that they would appreciate feedback from Club members about the evening. If you would like to make a comment please email me, and I will pass them on to Bistro 107. This is a prestigious presentation, but do take care, it is quite a large tasting range. Luke Skeer is one of the team of senior wine makers from Wynns. Among the wines to be presented will be the Michael Shiraz and John Riddoch Cabernet along with other prestigious wines from the Wynn’s range from the renowned Coonawarra Estate. There are reserve wines, some new elite releases and new labels not previously seen in NZ, and great examples of shiraz, cabernet and blends from arguably the premier wine producer in South Australia. All in all 8 – 10 wines will be presented (keep this in mind for the drive home) in a quality range that the club has seldom seen before. We have presented at least four other prestigious Australian wine houses in the last 4 years but his one probably exceeds them all for that “wow” factor and with the winemaker as the presenter. A truly special evening usually reserved for the trade elite and special guests. This time it is the domain of cellar club members. This evening has been made possible through James Cupit and the Cellar Room, Johnsonville. Any purchases will be arranged through the Cellar Room. Please be generous in your support. Wynns are providing the wines without cost to the Cellar Club. All proceeds from door receipts, after costs are met, will be donated to the Johnsonville Community Centre Food Bank. The original winery that is now known as Wynns Coonawarra Estate was founded by Scottish pioneer John Riddoch. He planted vineyards in 1891 and completed the estate’s three-gabled winery. 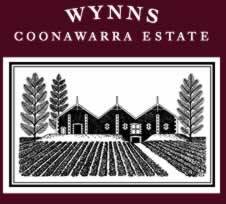 In 1951 Melbourne wine merchants Samuel and David Wynn purchased Riddoch’s original vineyards and winery and renamed the property Wynns Coonawarra Estate. The Wynns family recognised the intrinsic qualities of Coonawarra wines – their richness and intensity of fruit character – and set out to build an independent identity in the region. They created the famous label that has made John Riddoch’s winery one of Australia’s best known buildings. Today Wynns Coonawarra Estate is the region’s best known wine producer and largest single vineyard holder, with the best and longest established vineyard sites in Coonawarra. Its wines are regarded as benchmarks for the district, lauded for their consistent quality and depth of flavour. Coonawarra is a relatively tiny, cigar shaped strip about 15 kilometres long and just two kilometres at its widest point. Its most famous feature is the terra rossa soil, a rich red topsoil which lies over soft porous limestone. As the vines have to struggle and stress in extending the roots through the thin layer of terra rossa and limestone, the vine is limited to producing low yielding, intensely flavoured grapes. Coonawarra’s cool climate ensures a long ripening period that slowly builds up the intensity of flavours in the grape. The resulting wines are among Australia’s greatest wines for their intensity, depth of flavour and excellent longevity. You might recall that we had indicated that the August meeting would involve a presentation from the Mission Estate Winery. However, an opportunity has arisen, at short notice, to have a presentation from another iconic Australian winery following on from our Brown Brothers meeting in April. Mission have kindly agreed to take a date in early 2013 leaving the way for a presentation from Luke Skeer, one of the senior winemakers at Wynns on 8 August. The wines will mainly be from their latest range and hopefully will include a John Riddoch Cabernet blend and possibly a Michael Shiraz.Sadly the Michael Shiraz is unlikely to be available for sale in New Zealand. Another great evening in prospect. Thanks to James and the Cellar Room who have made this possible. Weltec caught us on the hop a little over timing of the dinner. Seems they have to clear the campus by 9.30 pm so we are in for an early dinner with a 6.00pm start. Everyone seems happy with this. We do have two places available as the result of a late withdrawal. If anyone was contemplating going but didn’t get their request to Wayne in time, please let me know if you want to come, it will be on a first in basis. This month’s “In the News” is a backgrounder on Wynns Coonawarra estate from James Halliday. James is a wine critic in Australia associated with the “Australian Wine Companion”. Lots of good info on the Australian industry on his website. He gives Wynns a five star rating. And don’t fret that we will miss out on the Mission tasting. They are more than happy to pick up a slot early next year, probably February. Stevee is doing some great work on the Clubs website. We encourage you to have a look, indeed we welcome feedback from members.